The International Society for British Genealogy and Family History (ISBGFH) often receives queries from members about hiring a genealogist. Members interested in hiring a professional genealogist to assist them with aspects of their research on ancestry in the British Isles or British-held territories may find the following list of international and domestic organizations helpful. The Association is made up of those engaged in conducting professional research. Members must subscribe to the APG Code of Ethics; some have research credentials, others do not. APG provides a very useful online guide entitled, “Hiring a Professional” which is available as a downloadable PDF. You may visit their website at www.apgen.org/. The Association was organized in 1986 to provide clients with a list of professionals demonstrating high standards of genealogical research. Researchers on the list represent all areas of Ireland. You may visit their website at www.apgi.ie/. The Association was formed in 1977 and provides clients with a list of researchers that focus on the Australian States and Territories as well as New Zealand. There are also researchers listed for other areas of the world. You may visit their website at www.aagra.asn.au/. This board was created in 1964 to establish a high standard for professional genealogists to illustrate their competency to conduct research on behalf of clients. The board maintains an online listing of those who have become certified and adhere to the board’s code of conduct. You may visit their website at www.bcgcertification.org/. 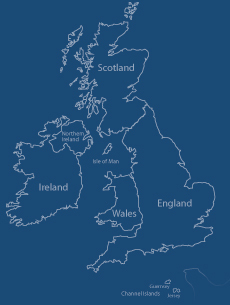 This association is comprised of members residing primarily in the British Isles. Members are required to accept AGRA’s code of practice. The site does have an “Advice” section which assists the process of choosing a member of the organization to assist you with your research. You may visit their website at www.agra.org.uk/. The commission was established when they took over the administration of the Accreditation program first introduced by The Church of Jesus Christ of Latter-day Saints in 1964. The Church divested itself of the program in 2000. Applicants are tested to demonstrate genealogical research competency and must also adhere to a professional code of conduct. You may visit their website at www.icapgen.org/. This society consists of a group of professional genealogists that serve clients for the six northern counties of Antrim, Armagh, Down, Fermanagh, Londonderry (Derry) and Tyrone. These genealogists adhere to the SGNI Code of Practice. You may visit their website at www.sgni.net/. Disclaimer: The International Society for British Genealogy and Family History (ISBGFH) accepts no responsibility for the work performed by any researcher listed on the websites described here. This information is provided as a courtesy to our members and all mediations of services performed should be resolved with the professional organizations.